Until a few years ago, the 32-year-old Briton earned his bread mainly as a mixed martial arts pro. With this spectacular full-contact sport, in which the fighters beat and kick their opponents hardest in the ring. In 2014 he hung up his sports career to devote himself more to his passion as a guitarist and singer. A passion that he has cultivated since his teenage days and which - if everything goes according to plan - will have a major impact on his life in the future. Last year Karras and his band made very successful club and festival appearances in Germany, Lithuania, Poland, Slovakia and at home in England during their first major European tour. Songs like'I Don't Owe Nobody Nothing','Propane' and'She's More Than Enough' show the range of influences that go back to Led Zeppelin, The Stones, Howlin' Wolf and Free. 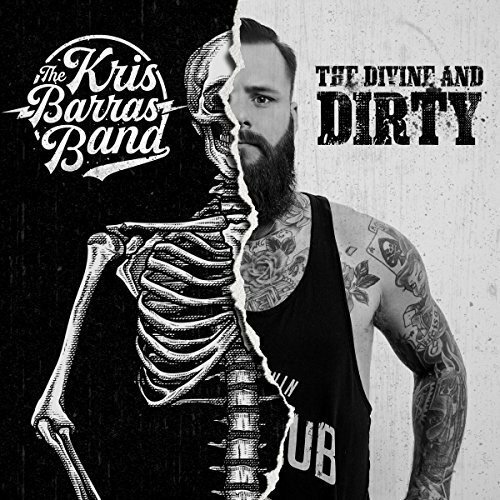 But there is also a modern energy behind it that puts Kris Barras in a similar form to current blues heavyweights like Rival Sons, Black Stone Cherry and The Cadillac Three. Wirey appearance, muscles like steel, a lush intoxicating beard and large tattoos on the body: at first glance, Kris Barras looks like an enormously tough dog - and that's exactly what he is. Until a few years ago, the 32-year-old Briton earned his bread mainly as a mixed martial arts pro. With this spectacular full-contact sport, in which the fighters beat and kick their opponents hardest in the ring. In 2014 he hung up his sports career to devote himself more to his passion as a guitarist and singer. A passion that he has cultivated since his teenage days and which - if everything goes according to plan - will have a major impact on his life in the future. Last year, when Karras and his band made very successful club and festival appearances in Germany, Lithuania, Poland, Slovakia and at home in England during their first major European tour, they got a good boost. What followed was a contract offer from the Mascot Label Group, under whose umbrella Kris Barras is now at home together with scene stars like Joe Bonamassa, Kenny Wayne Shepherd, Jonny Lang, Walter Trout, Eric Gales and Sonny Landreth. 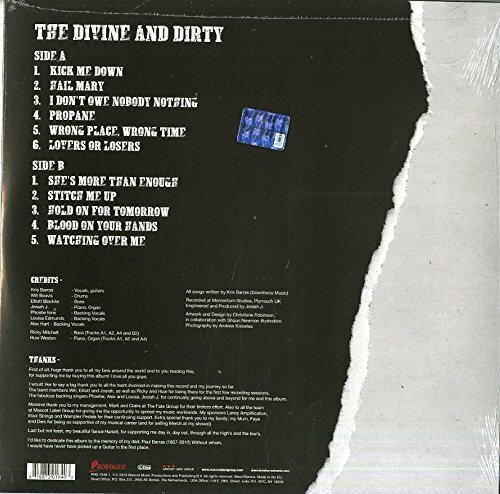 Customer evaluation for "The Divine And Dirty (180g Vinyl)"